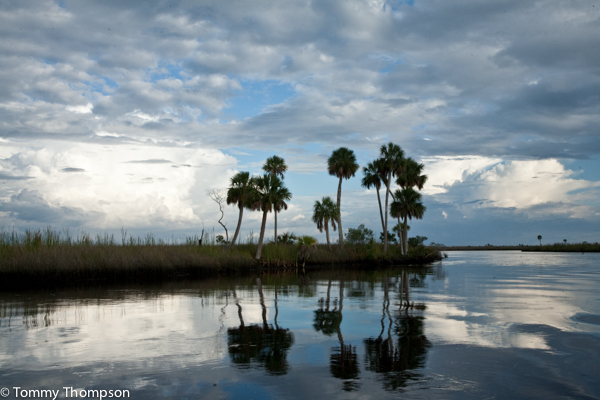 Big Bend Coastal Creeks attract seatrout and redfish as wintertime tides rise. Fishermen are lucky. When wintertime arrives in Florida, all that’s usually necessary is a light coat to keep away the cold. However, cold-blooded fish species like seatrout, redfish (red drum), black drum and sheepshead, are not so lucky. They’re cold-blooded, and as water temperatures fall into the 50s, they seek the warmth of deep creeks, especially those with dark bottoms or oyster bars. There, they can huddle up to sun-warmed spots and wait out the cold–and even snag a mullet or mud minnow that swims into their reach. The best time to fish our coastal creeks is on the coldest of days, as the tide rises. However, remember that wintertime low tides are the lowest of the year, and that you must plan your trip accordingly. A long winter night is not the time to be trapped “up the creek”! 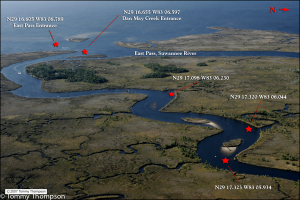 Dallus Creek is a “famous” and crowded wintertime trout spot, located between Steinhatchee and Keaton Beach. Spring Warrior and Big Spring creeks, north of Keaton Beach, can be hard to enter, but worth the effort on cold winter days! Be careful leaving the Aucilla River boat ramp (bad rocks!) and once in the Gulf, head north to the mouths of Pinhook and Sulphur creeks. There are numerous (and fishy!) 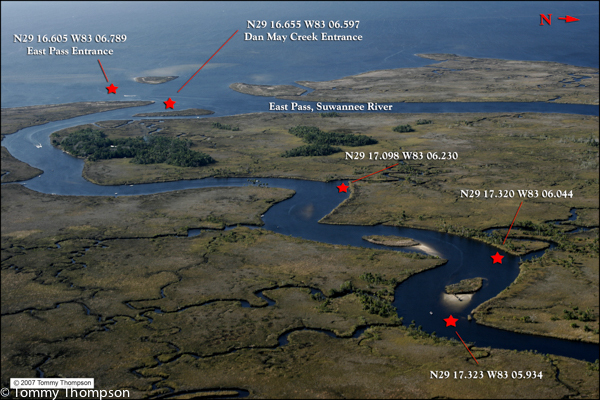 creeks to the east of the mouth of the St. Marks River, but a local favorite is Spring Creek, to the west, near Panacea.